If you believe the reviews, the 2018 Kia Stinger is everything we ever hoped for, offering drivers superb thrills and luxury to rival the German alternatives. Sitting at the heart of the range-topping Stinger is a twin-turbocharged 3.3-liter V6 engine delivering 365 hp and 376 lb-ft of torque. Unfortunately, this engine, nor the exhaust system, produce an intoxicating soundtrack. Thankfully, aftermarket firms have already started to resolve this, developing new exhausts for the South Korean sports sedan. As the video below demonstrates, the exhaust developed by Borla totally transforms the Kia. 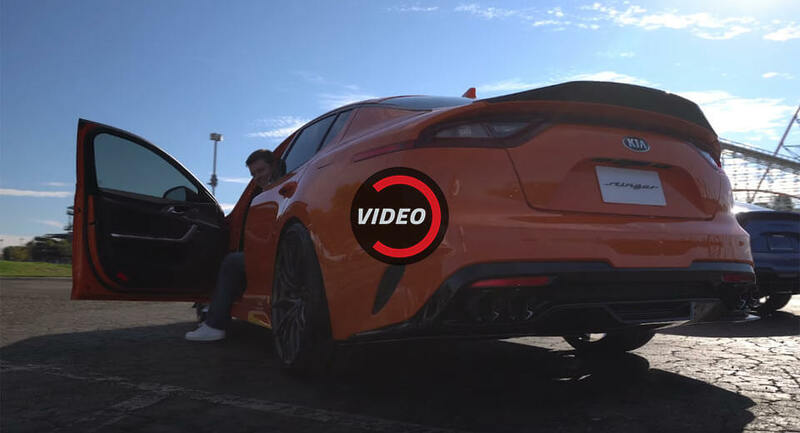 The first 90-seconds of the video highlight the standard exhaust of the Stinger while the final 30-seconds show a bright orange Stinger with the Borla system. Not only does the aftermarket exhaust sound much better at idle, it also roars at full throttle, perfectly complementing the car’s performance and eye-catching looks.